We regularly hear from backyard barbecuers, pitmaster competitors, and professional chefs from around the world. Each has their own flavor profile. Many openly share their love of “cooking on a Lang” but keep their award-winning recipes a secret. Thanks to BBQ chefs that were willing to share, we have been able to develop his smoker cooker recipe BLOG, a Lang Cooking App with some basic time, temperatures and wood, and our Q-School with smoker cooking classes by award-winning chefs! 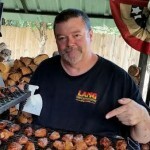 Paul Kirk a chef, award-winning barbecue competitor, cooking school instructor, and cookbook author. Chef Paul Kirk instructs many of Lang’s Q-School smoker cooker cooking classes. To learn more about Chef Paul and the Q-School BBQ cooking classes click here. To learn more about this award-winning competitor check out his profile on Who’s Cooking on a Lang. 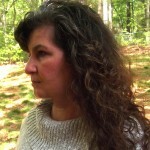 This North Carolina gal has a flavor profile that “leans towards the sweet with a pinch of spice for fun”. 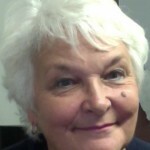 She had recipes on All Recipes and the Greensboro Cooking Examiner to name a few and has been featured in Cooking Light. She is the founder and Mom Chef of Taking On Magazines. 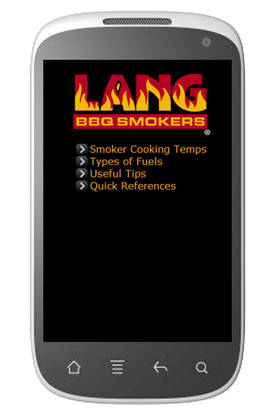 The Lang BBQ Cooking team is happy to have her on board sharing recipes low & slow, fast & hot, and on the grill. Mitch Moody is the Pitmaster at Anderson’s Bakery, Catering, and BBQ in Kathleen, Georgia. Mitch had been posting photos of his food on Facebook and it caught our eye. We asked if he’d be interested in sharing some recipes … and now he’s officially one of our recipe blog contributors. 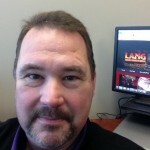 You have to check out how many Lang BBQ Smokers he has! Go to Who’s Cooking on a Lang? Doug grew up in North Carolina and learned to cook BBQ using North Carolina style sauces and rubs. After retiring from federal government services his is now the owner of Carolina BBQ in Virginia. When Doug develops his sauces he experiments … on his Lang BBQ Smoker. He has been kind enough to share some recipes with alternatives if you can’t purchase his sauces locally. More about Doug on Who’s Cooking on a Lang? In this smoker cooker recipe blog Cathy shares some basic rubs, sauces and low and slow smoker cooking recipes. Cathy is quick to turn a phrase and modify a recipe to suit her gluten-free, salty profile.